You Scored Big Time at a Storage Auction. Now What? 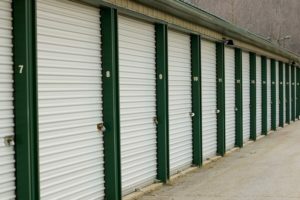 Looking to strike gold at a storage auction? Chances are, you probably won’t, but then again, it is possible. Every now and then, a high-value item is found in a storage unit. So what do you do if you are the lucky winner of one of these units? But what if you don’t know what you have? Or you know what you have, but don’t know the value of it? In this case, it makes sense to make your find public – in a strategic way. For example, if you found a painting, contact art experts who can help you identify the artist and give you an estimate of it’s worth. If you decide to liquidate the painting, contact reputable auction houses like Sotheby’s and Christie’s. The U.S. tax code requires citizens to report their income, regardless of where it came from. If you don’t report your treasure, you could be prosecuted and fined. Getting a good accountant and lawyer can help you navigate the complicated tax code, and keep you in the clear. Join us for our next auction on Saturday, May 27, 2017.